Identify the location and the orientation of the photographer. Provide a rationale. The Mystery Foto shows the Massapequa-Hicksville Road Motor Pakway Bridge under construction with the photographer looking west toward the Massapequa Lodge. 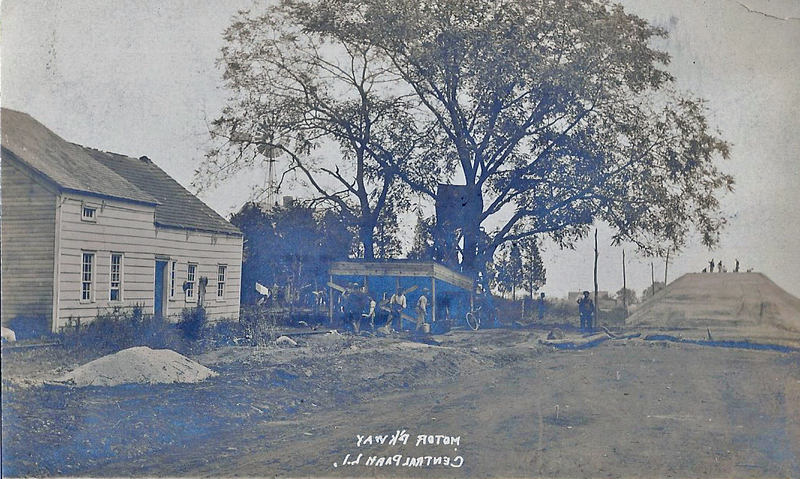 The rationale is the exact match of the home with the wind-powered waterpump seen in the Mystery Foto with a 1909 image submitted by Greg O. 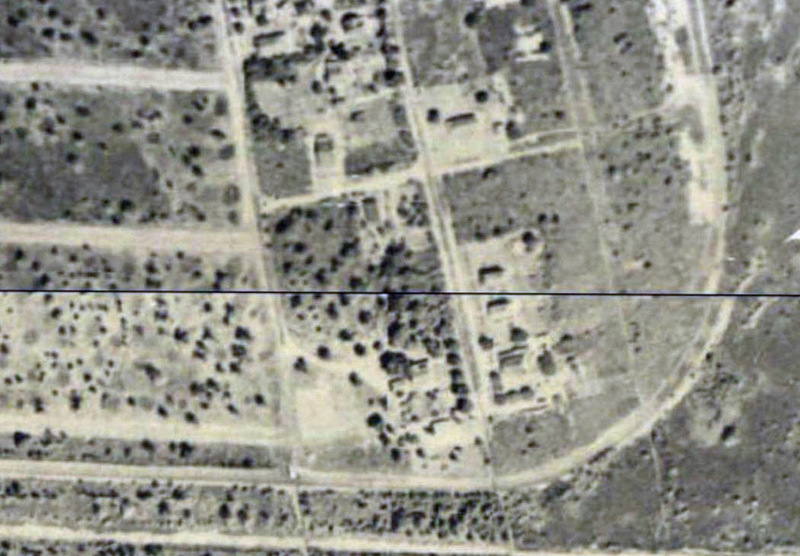 The two-level building can also be clearly seen in the 1926 aerial of the area. As indicated by early Belcher-Hyde maps, this area was known as "West Central Park". 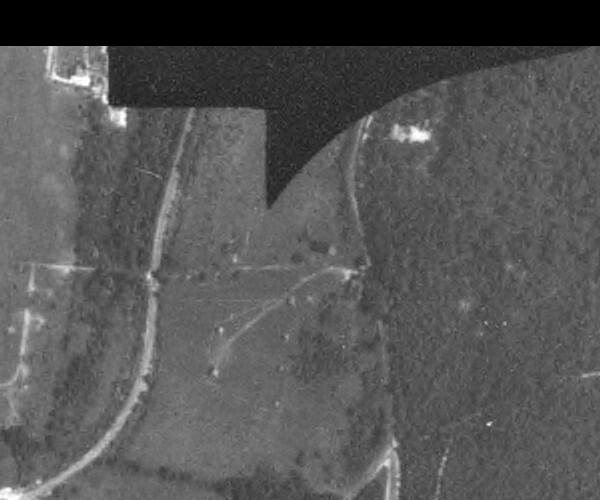 What was the approximate date of the Mystery Foto? Provide a rationale. 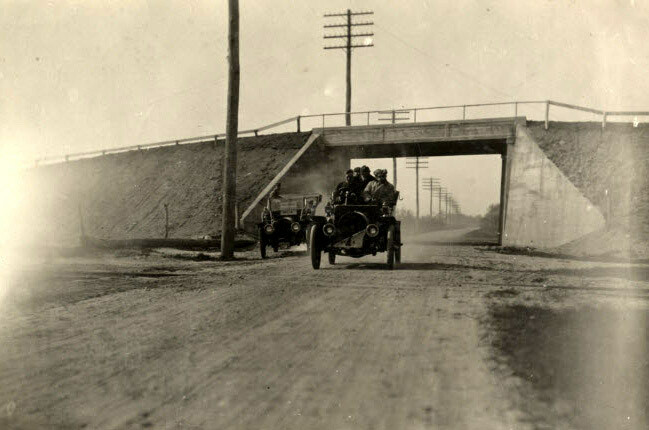 The Massapequa-Hicksville Road Motor Parkway Bridge was completed in time for the grand opening of the Motor Parkway and the Motor Parkway Sweepstakes held on October 10, 1908. Congrats and kudos Greg O. and Tim Ivers for identifying the Motor Parkway bridge that stumped both Al and me. 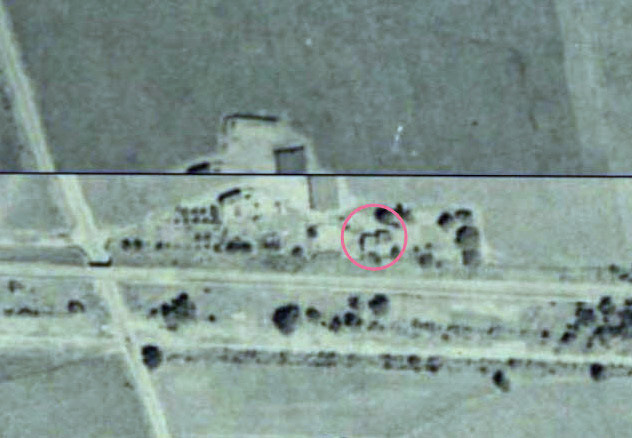 This two-level building can be seen in the below 1926 aerial. Note: The building and wind-powered water pump in the background. 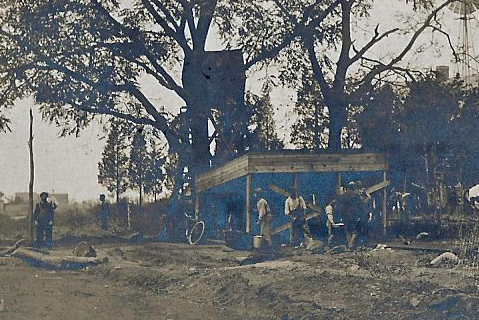 Motor Parkway workers at a water station. Telephone pole can be seen to the right of the bridge . Note the buidlings in the background. The Mystery Foto flipped horizontally. The two-level building matches the Mystery Foto. Massapequa Lodge at Massapequa-Hicksville Road (Submitted by Greg O. 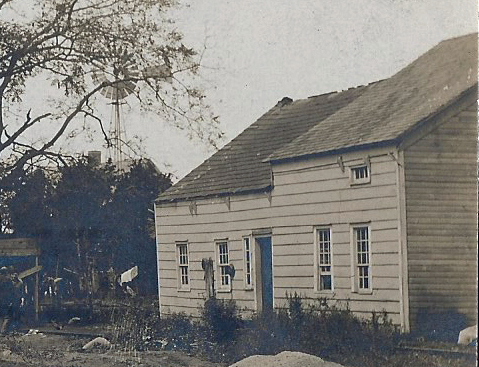 Compare the chimney and wind-powered water pump with the Mystery Foto. This home was the residence of Joe Walsh, who sold the the property for the Massapequa Lodge across the street. Tim Ivers: I looked into the County Assessor's records and found Joseph Walsh owned this house and the records indicate it was moved to a lot a little south. I also believe the house is still standing. 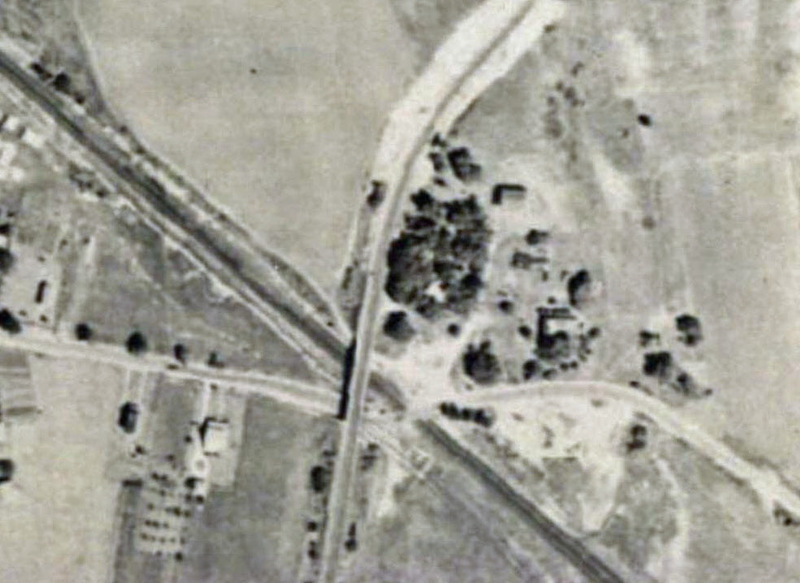 The old photo shows it on the north side of the LIMP and east side of Hicksville Road while the current pictures show it on the south side of the LIMP. 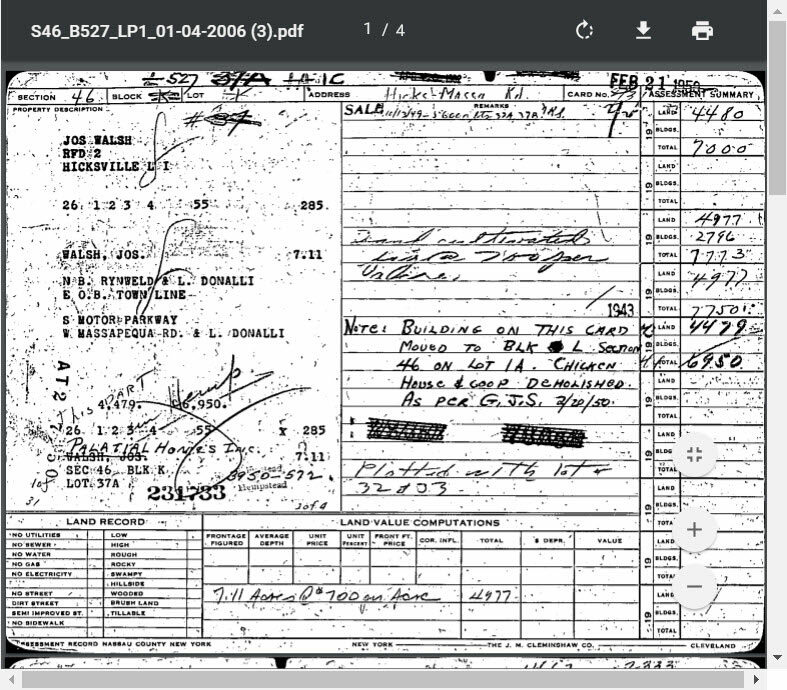 But the property record explained that discrepancy (see above) stating it was moved about 1943. I believe it to be the same house as in the mystery photo. 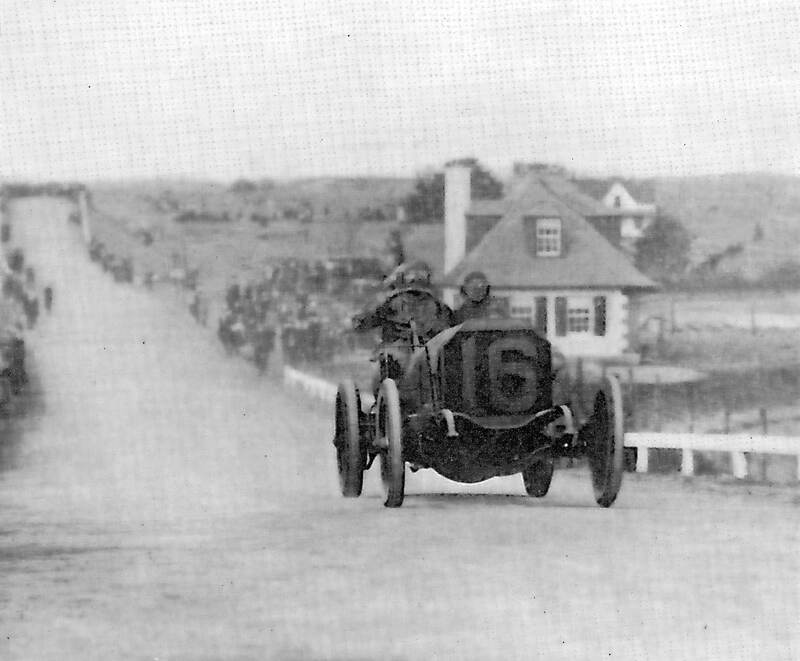 Old 16 Locomobile n the Massapequa-Hicksville Road Bridge during the 1908 Vanderbilt Cup Race on October 28, 1908. Note: The Massapequa Lodge and other buildings on the right may also be seen in the Mystery Foto. A view of the Massapequa-Hicksville bridge looking north. Note: The lineof telephone poles along Massapequa-Hicksvill Road. 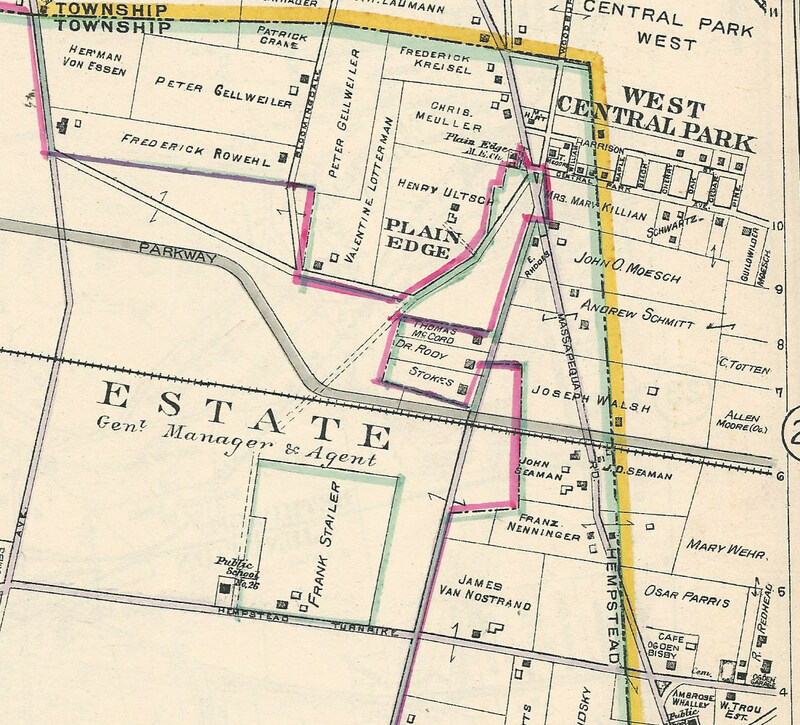 1922 Belcher Hyde map of "West Central Park" near Massapequa-Hicksville Road. West side of the jerusalem Rd Bridge???? Around where the groundbreaking took place. 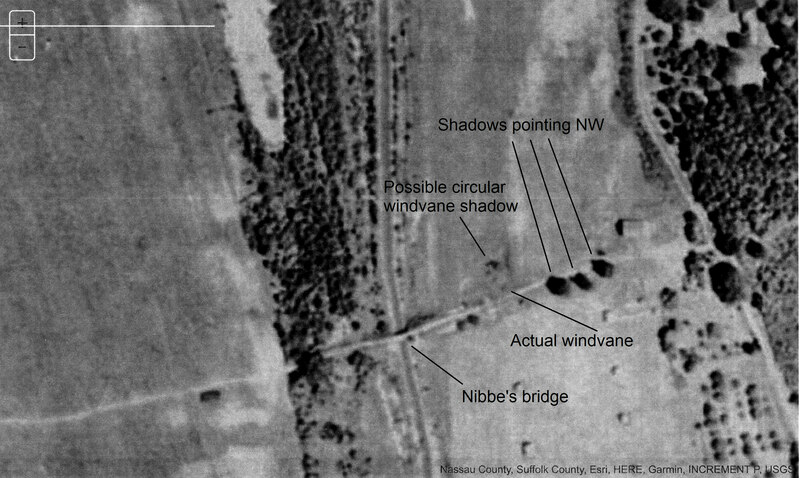 * ID Location/Orientation/Rationale: I decided that the photo was taken from the farm way road, east of the soon to be Nibbe Farm Way Bridge over passing the LIMP. On the Noel Gish Postcard Collection Blog here 10/22/2011, there’s a postcard titled “Motor Parkway through Nibbe’s Hollow. Central Park L.I.” You can see buildings & a wind vane or wind mill east of the Nibbe Bridge. The wind vane or wind mill has a square structure built around it. 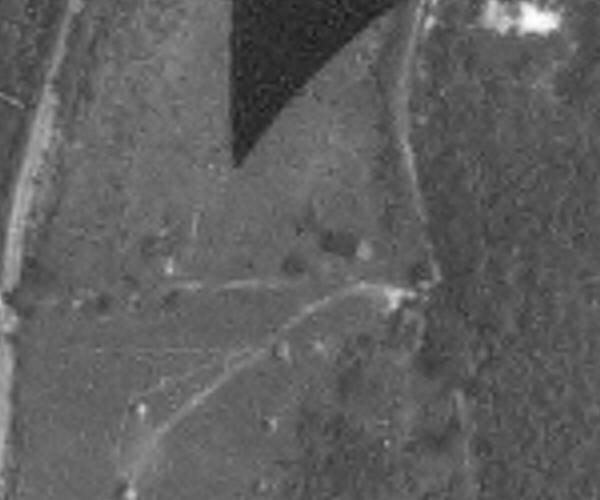 The wind vane in the mystery image doesn’t appear to have a structure around it. 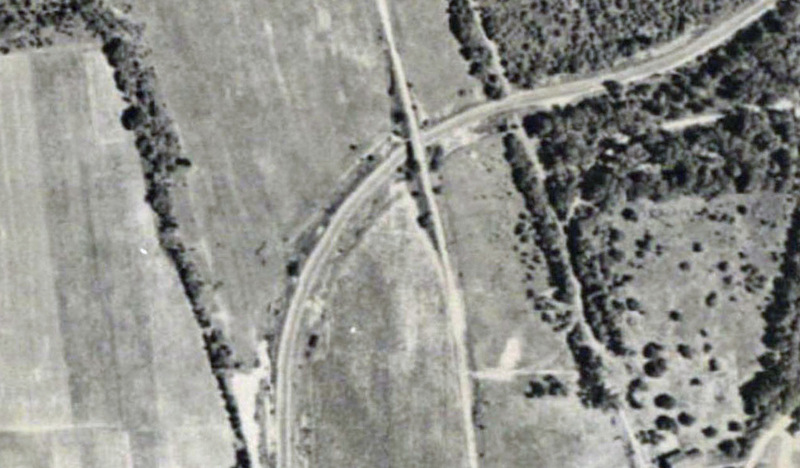 The stakes on the farm way road are likely center line markers for the bridge. The 4 poles that are west of the bridge & limp could be for telegraph/telephone service to the buildings, possibly west from Broadway. 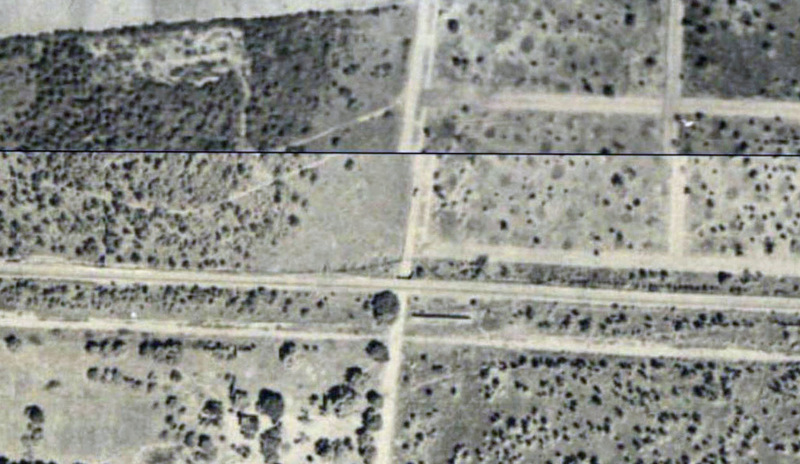 1926 LRV aerial map shows the farm way road extending west to Broadway and east to Plainview Rd. * Image Date/Rationale: Aug/Sept 1908. Prior to the 1908 VCR in Oct.
From this Dad to All, have a great Father’s Day! Love these puzzles! But this one is truly puzzling. 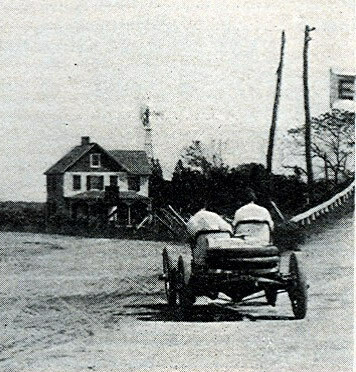 The wind vane should give it away but haven’t yet seen one in any old Bethpage photos (Hoping someone spots one soon). 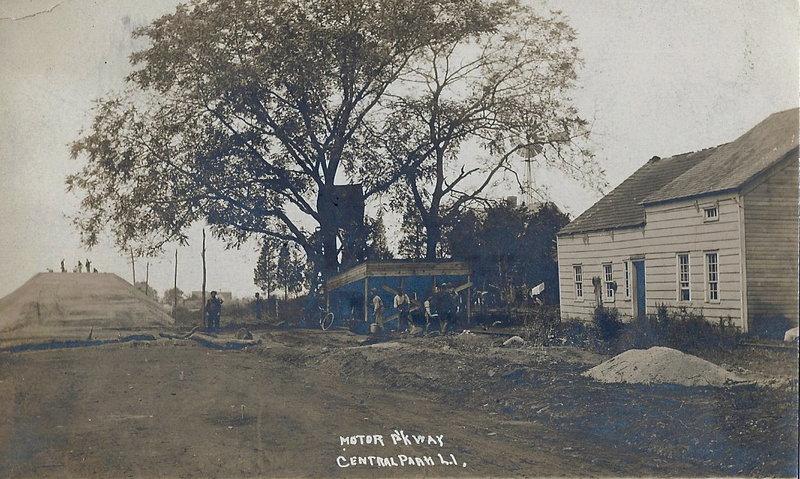 Caption says “Motor Pkwy” but I believe were actually “near” Motor Pkwy. The dirt roadway appears to be an already established main thoroughfare, not a farm path nor the parkway itself being developed. Heck, it even has power line pole service already established. On this overcast day it’s hard to tell orientation, but the siding of the house on the right seems to be well lit (photo facing northwest), but that’s a poor observation under this cloudy day. The puzzle continues…. I don’t think we’re on Motor Parkway, but on Powel Ave looking east with the bridge going over the Motor Parkway (which is underneath), traveling north-south. I think this is it. Happy Father’s Day to all. This mystery puzzle made mine even more enjoyable. Thank you guys. Can’t wait for more possible solutions. 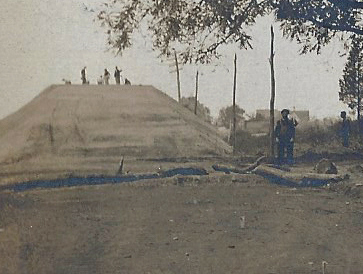 I think we’re looking north on Plainview Road during construction of the bridge over the LIMP in 1908. 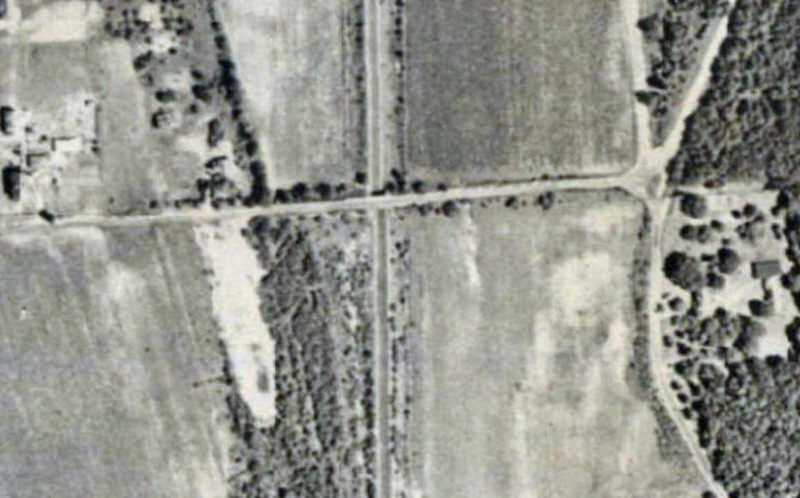 The road in the foreground (all dirt) does not resemble the actual LIMP under construction so I think it could be the straightened out section of Plainview Road that was moved slightly west of the “old” Plainview Road. Since the bridge appears to be almost completed, I would expect the LIMP pavement to have been completed previously if it was in fact the LIMP. The building on the right looks like the rear of an old residence, which means the front could be facing “old” Plainview Road as it would be. Also, I don’t think the LIMP right-of-way would have been that close to a residence. 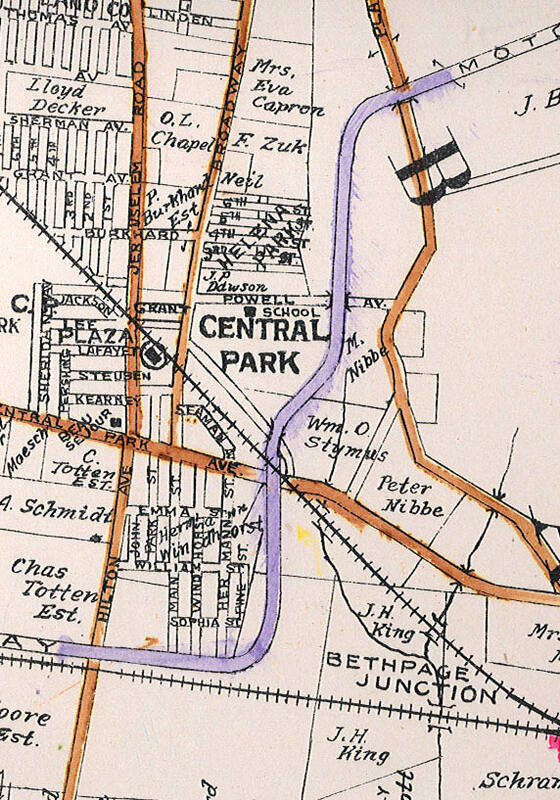 Also, if the “Central Park” notation is accurate, then the only “highway bridge” in the vicinity is Plainview Road. How about the Nibbe Farmway Bridge in Central Park. Circa August/September, 1908. Second guess - Powell Avenue Bridge same timeframe. I believe this to be the Massapequa-Hicksville Bridge looking West in Sept 1908. 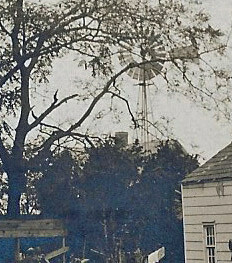 I’ve emailed a supporting photo for my guess showing a weathervane and tree matching the proximity of the mystery photo. I’ll also add; on even closer scrutiny, the farmhouse next to the weathervane in my supporting photo matches the roofline of the farmhouse that can be just barely seen at the treetops in the mystery photo. My guess is the Hicksville Rd. Route 107 bridge looking west from the east side of the bridge overpass. 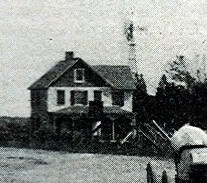 I see the small house by the side of the road, the windmill behind, and what looks like a 2 story house beyond the windmill with reverse gables. 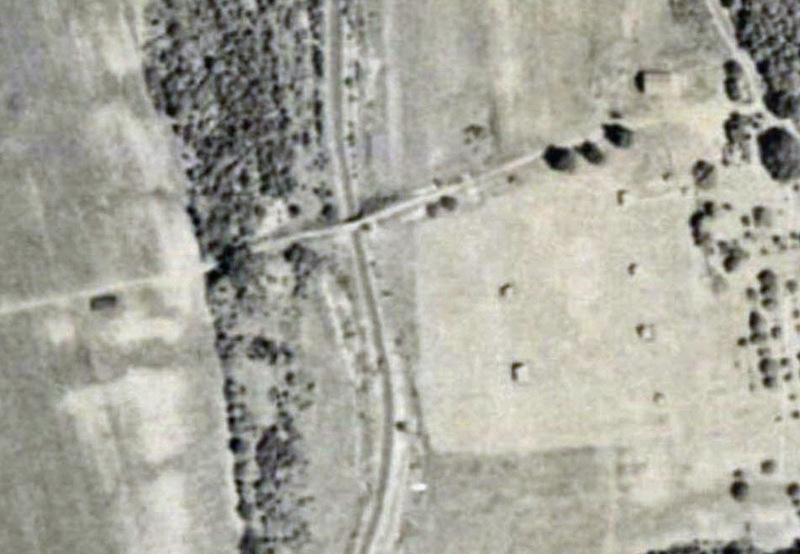 The 1926 aerial shows what might be where these structures were . The year would be 1908. The building of the Central Ave Bridge over the LIRR at Bethpage. I would say the photographer took the photo facing to the south. I would guess that the correct image would be of the photo being flipped horizontal as you displayed. 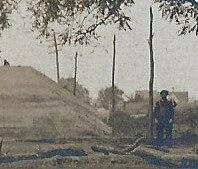 The construction would be the early part of 1908. Powell Ave bridge. A foundation to a water tower or ice house still is between the entrance to the Bethpage State Park and the Bethpage Bikeway. 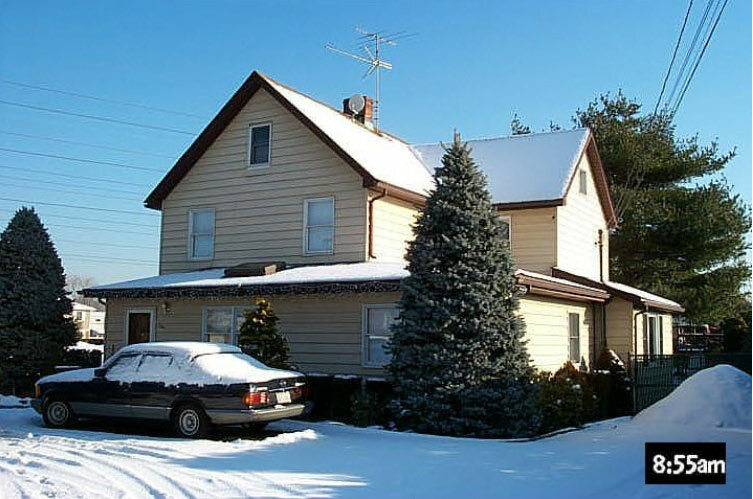 One final convincing item; The house on the right in the mystery photo has 2 distinct levels on the roof split down the center of the house. This can be seen on the structure closest to the LIMP in the aerial of the Massapequa-Hicksville bridge. Howard, I agree with Greg and Tim that we are most likely looking west over the Broadway- Hicksville Rd. bridge. Who ever wrote the caption for the card took some liberties but it is not an error as the area just north and east of Broadway-Hicksville Rd. is known as West Central Park in the 1914 Belcher-Hyde Atlas of Nassau County. That would make the house on the right belonging to Joseph Walsh who sold the Parkway the R.O. W. in this area. Good work Greg and Tim. Excellent detective work, Greg and Tim. 1909 image says it all, Greg. And look at that. The residence is just a hop,skip and jump from it’s original location, Tim. Is the house linked with the nursery? Used to drive by there all the time. 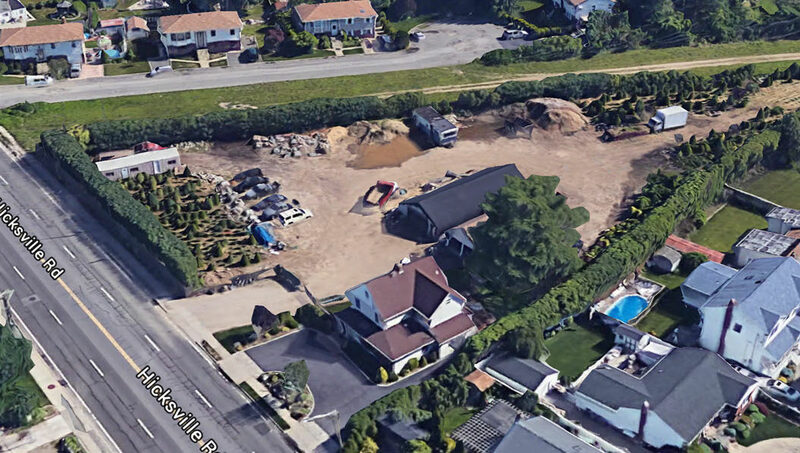 Brian….the house and the large parcel adjacent is (or was) listed to Joseph DiMaggio (not the Yankee centerfielder) and he owned a landscaping and block work business there. Back to answer my own question. After viewing the Nassau County LRV map and some residential info, the property that the former Joseph Walsh’s residence is relocated appears to be shared. The house is a business ( Fitness Doctor’s ), and the rest of the property is “Joe DiMaggio Landscape” ( likable name ). The prior location of Joseph Walsh’s residence is now shared by 2 homes on the s/side of Avoca Ave, besides his large acreage.